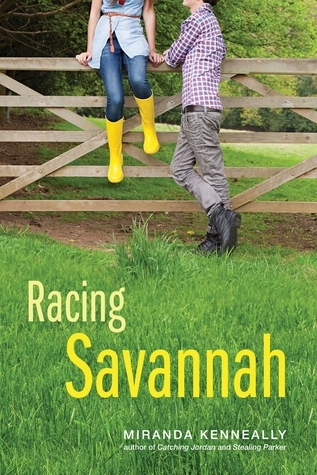 Books in the Spotlight: Racing Savannah Blog Tour: Guest Post by Miranda Kenneally! Racing Savannah Blog Tour: Guest Post by Miranda Kenneally! I hope you all had a wonderful Thanksgiving holiday and a wonderful weekend. I am beyond thrilled to be part of Miranda Kenneally's Racing Savannah Blog Tour. I love Miranda's books and her strong female protagonists. What I love most about Miranda's books is that all of Miranda's characters are real teens overcoming an obstacle-either internal or external with grace and through self discovery. Racing Savannah, Miranda's latest book, is no exception. I asked Miranda about what her characters taught her and what she hoped her readers would get after reading Racing Savannah. Stay tuned for my review of Racing Savannah tomorrow! What have your characters taught you? In Racing Savannah, Savannah had very little money while growing up. Her father makes minimum wage, her mother died of breast cancer, leaving the family with large medical bills, and now her father has a new pregnant girlfriend. 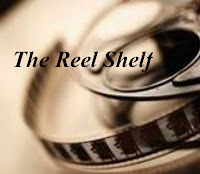 Her father takes a new job at fancy Cedar Hill Farms in order to try to make a better life for his family. Savannah doesn't have college aspirations - all she wants is a steady job where she can make some money, so she tries out to be an exercise rider for the farm. She doesn't want to end up working as a maid at a hotel. This book was difficult for me to write. I grew up with little means myself, but I always had dreams of college. Now that I'm adult with a steady career, it's hard for me to remember what it was like not having enough food to eat and always having to wear hand-me-down clothes. A lot of people in America live like Savannah and her family do - they have large debts and worry about where they'll get their next meal. What happens if a family member gets sick and they don't have health insurance? In the book, the main guy character Jack urges Savannah to consider college, knowing it will open more doors for her. Part of her character development involves her learning to think outside the box. While writing this book, I wondered who my audience is. (Every author should know who their audience is before they start writing.) I wrote this book for the girls and boys who have big dreams but worry about how they'll accomplish them. But I wondered if libraries would carry my book and if it would get into the hands of those underprivileged kids. Conversely, would the kids who could afford my book relate to Savannah? I ultimately decided that if my book encourages even one kid to think in a different way, I would be happy. I will also be happy if kids who come from more prosperous backgrounds begin to understand how parts of America live. Writing this book reminded me that the dreams of every single teen are important. Miranda Kenneally is the author of Catching Jordan, Stealing Parker, Things I Can't Forget, and Racing Savannah. Her fifth book, most likely to be titled BREATHE, ANNIE, BREATHE, is coming out in July 2014. She enjoys reading and writing young adult literature, and loves Star Trek, music, sports, Mexican food, Twitter, coffee, and her husband. To find out more about Miranda check out: Goodreads, Facebook, Instagram, Twitter, Blog, and Wattpad. I am so looking forward to reading this one. I love Kenneally and her work and I think she does and excellent job of reaching out to her audience. Great Post! I don't know if she goes to college or not, but I do know some kids who think they are just not college material and have different dreams. And we tend to forget that our neighbors and classmates could very well be living just like Savannah. It's so easy to forget what you have. Thanks for your post!